Jump into world of freediving, enjoy your time in water and go deeper with us! Our school is created by freedivers, for freedivers. 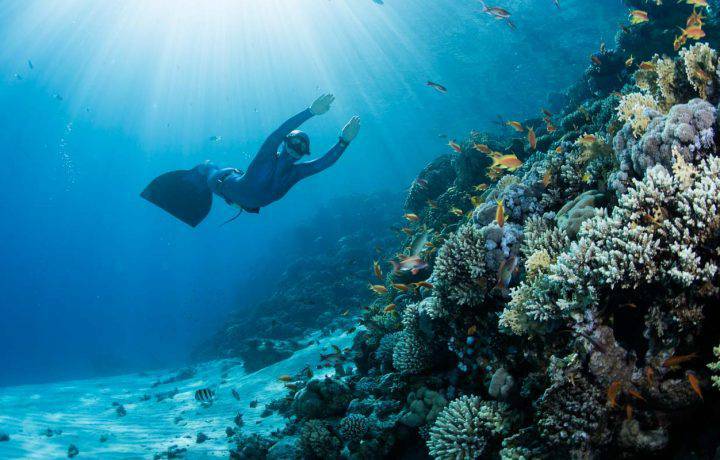 We are passionate about freediving and would love to share our experience and connection with the ocean by teaching others to be free underwater. We are a team of experienced freedive instructors, who will lead you to the world of freediving. We use only light and gentle approach for our students so it will be a pleasurable experience for everyone. 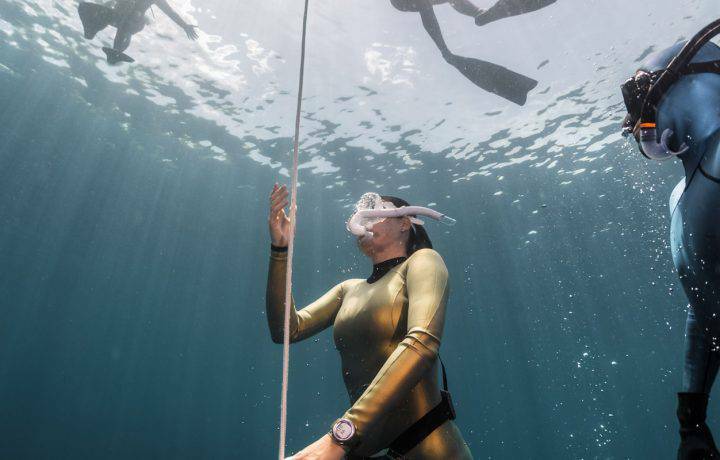 Conditions for freediving are perfect here: visibility stays on the high level all year round, water temperature is around 27-29 C. We can dive from the shore or take a boat to reach farther sites. Spectacular coral reefs with millions of fish just in front of the school. 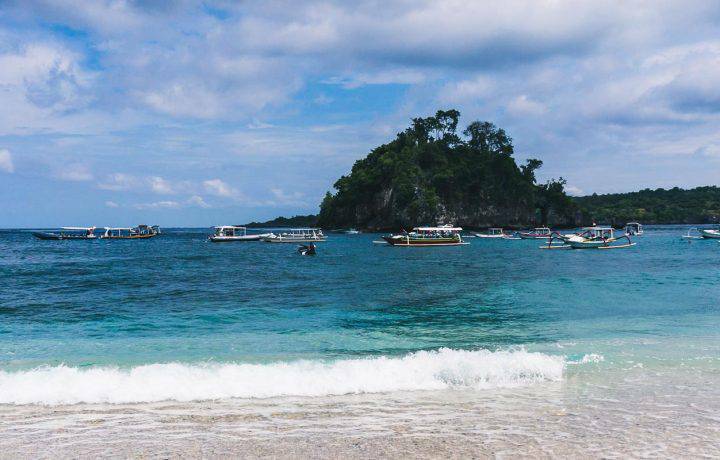 There is plenty of interesting dive sites around the island and possibility to dive with giant Manta Rays and Mola-Mola Fish. Beautiful beaches between high rock cliffs, stunning rocky breakages with unforgettable landscapes, underground temple, real tropical forest, waterfalls, etc. Tranquil rural atmosphere and kind friendly locals. Island is just starting to develop its touristic infrastructure, so it is not yet crowded with tourists, but at the same time it’s easy to find daily necessities. Our school is located just 20 meters from the shore, not far from several hotels and cafes that serve tasty and healthy food. Traditional markets with fresh veggies and fruits are 5-10 minutes away by motorbike. Great instructor and nice atmospher in the school, i recommend to beginners and to experienced freedivers!  I completed my Level 1 and 2 at Freedive Nusa. It was an unbelievable experience I think about everyday. Kirill... read moreI completed my Level 1 and 2 at Freedive Nusa. It was an unbelievable experience I think about everyday. 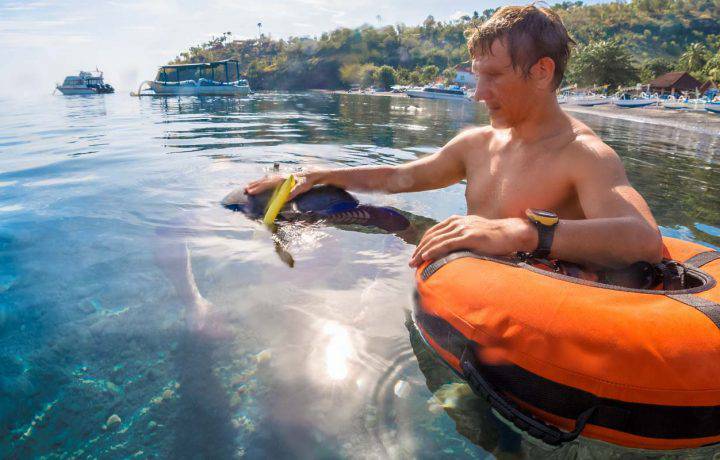 Kirill was an inspiring teacher, his teaching methods, calm, safe and poised personality and the fact that he really loves freediving made learning freediving easy and so fun. 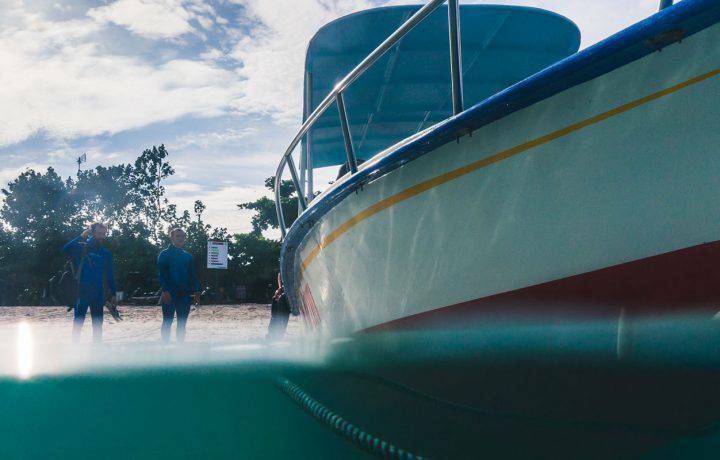 My 13 year old son and I did the SSI Level I Freediving course with Freedive Nusa, and the team... read moreMy 13 year old son and I did the SSI Level I Freediving course with Freedive Nusa, and the team was as professional as I’ve seen. 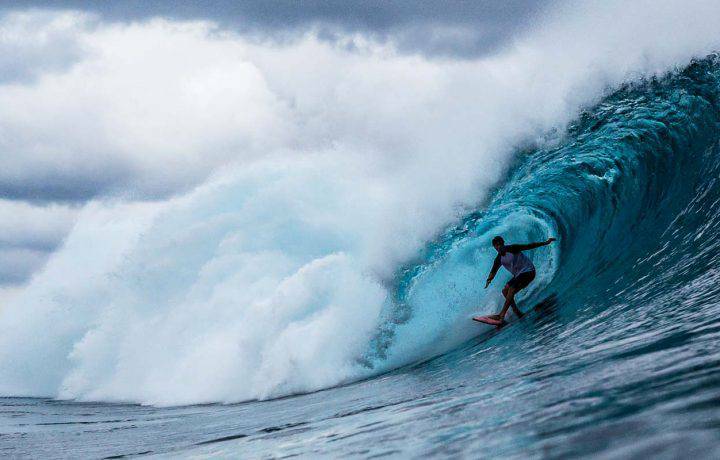 Our instructor, Heiko, and Arthur (who joined to help in some of the ocean sessions) knew their stuff and upheld the highest of standards throughout. I felt extremely comfortable leaving my son in their hands. Heiko taught us the ins and outs of freediving and balanced it with a lot of practical sessions in the ocean (that was right across the street). 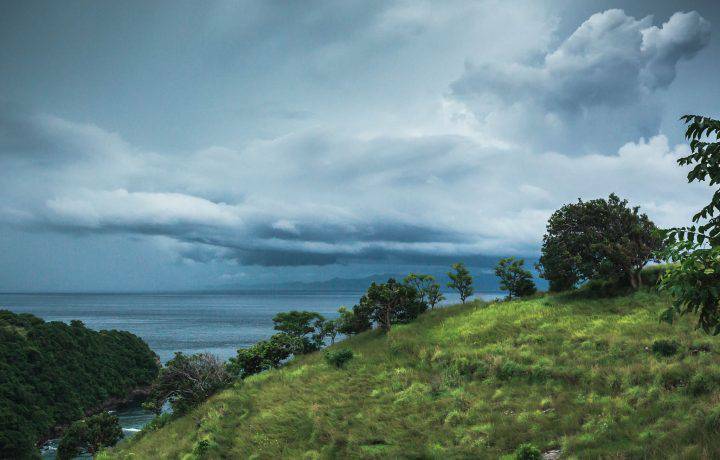 Nusa Penida’s tourism has only recently picked up and consequently it has that perfect balance of just the right amount of infrastructure (restaurants, hotels/homestays, scooter rentals, etc) without all the unfortunate destruction that tourism often brings. We saw some of the most beautiful, untouched coral reefs that I’ve seen around the world. Perfect place and excellent instructors! For me freediving is something more than just going underwater. It is like going home that is so familiar. 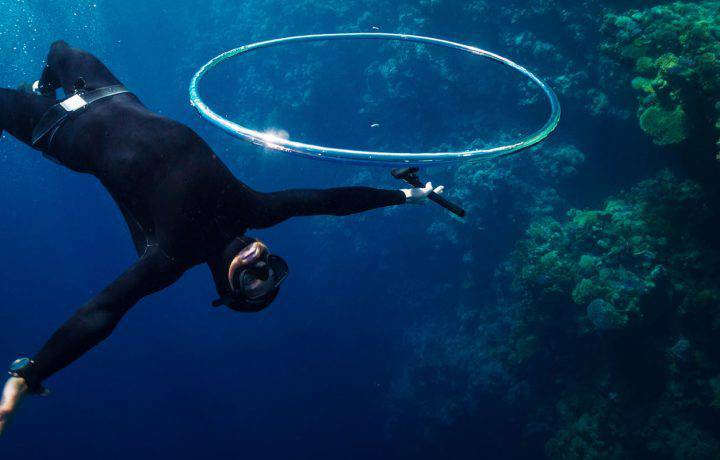 For... read moreFor me freediving is something more than just going underwater. It is like going home that is so familiar. For many years it was my dream to learn how to freedive. Yeah, I knew how to go underwater, but I didn't know how to do this right actually. So the 2 hour lesson at Nusa Dua Freedive School that I had with Heiko was really useful for me. It gave me introduction into the world of freedivers. During the whole lesson it was easy and very interesting to obtain information. Illustrative examples of my teacher made it easier to learn and to understand what to do in this or that cases. Feel free to contact us in any ways comfortable for you, whether to register for the course, to book training sessions or simply to ask questions about the island and the school. We are working all year long!